The future of Wii gaming just got a whole lot brighter, with motion control middleware specialists AiLive, a company that collaborated with Nintendo to develop the new MotionPlus controller add-on, launching a new demo showing off LiveMove2 - impressive new set of 3D tools that allows full, instant 1:1 motion control tracking. 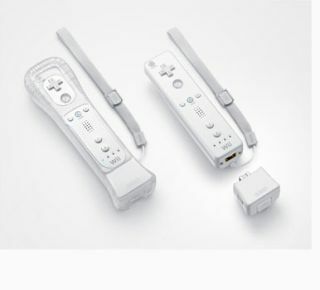 If you need to know more, or need convincing that it is actually possible, then you can see a video demo over on AiLive's website, where they show off how a lightsaber actually will work with the new Wiimote add-on. AiLive also demo how the 'snap-to-fit' tech can map incredibly complex motions to more specific commands, so "that way everyone can end up feeling like the next Zorro!" The company claims that: "LiveMove 2 can knock at least six months off the time required to integrate the basic functionality of the new device into your game. For advanced use, you simply won't find anything else like it!" * – Classification can use additional MotionPlus data to improve performance. * – There are tools to help synchronize the player's motion with the on-screen action.